Lorenz Magnum Pro chart controller is one of the most cost effective ways of obtaining a large screen chartplotter. The full system consists of the Magnum Pro Chart Controller, a high quality VGA Monitor, Lorenz GPS Antenna and a C-Map Max Chart. All items are available separately or at an attractive package price. The Magnum Pro chart controller can be mounted up to 6ft away from the display and is available with a choice of 12V (or 24V with converter) high quality 10", 12.1", 15", 17" or 19" monitors all with excellent viewing angles and brilliance, suitable for use in most wheel houses. Simply position the cursor over the objects on the chart to get detailed information on wrecks, marinas, tidal height, buoys etc. With the dedicated Mark Key users can easily place marks on screen to represent waypoints, wrecks, posts, hazards etc. Routes are easily created using the dedicated Waypoint Key and editing, moving and deleting waypoints is simple with a touch of a button. The Event Key enables the user to record a mark where and when the vessel was at the time of the event - ideal for potting. Tracking can easily be switched on and off via the dedicated button and copies of user data can be backed up to low cost user cards. 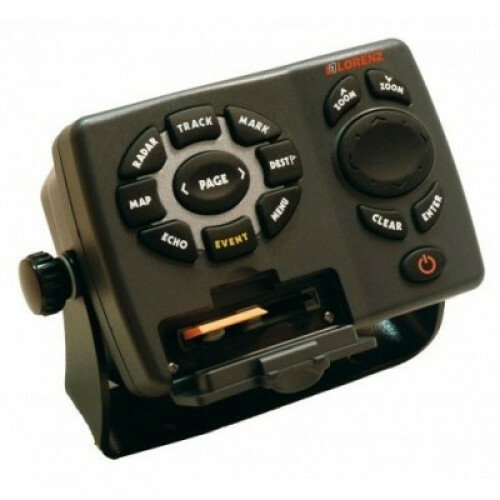 There is also direct access keys for Radar and Echo for fishfinder if using the optional Lorenz Radar or Black Box Fishfinder. With a large screen there is less need for scrolling and zooming, and virtually no need to change the level of detail. You can have high levels of detail for easier navigation without the screen being cluttered. Enhance your safety and collision avoidance with the addition of an AIS module. View the AIS equipped vessels on your Lorenz Chartplotter and view their details by simply placing the cursor on the target. Set guard zones and be alerted when an AIS target is within the guarded zone. Turn your Lorenz into a powerful 500W or 1kW (dependent on transducer) dual frequency fishfinder by adding the Lorenz Black Box Fishfinder. 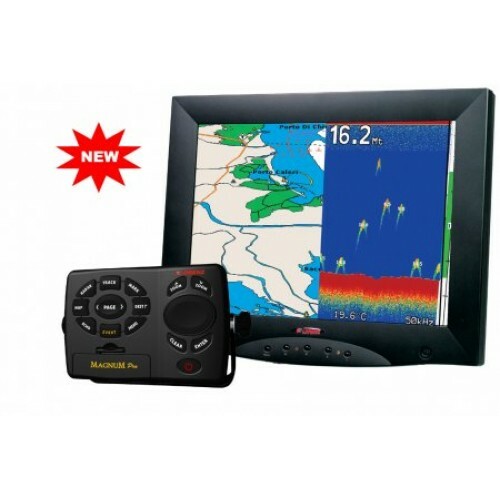 View split screen chartplotter/fishfinder. With the dedicated Page Key users can easily scroll through the display options. Either view split screen, full screen or multi screen displays. Screen choices are increased with the addition of the Lorenz Fishfinder and Radar. SEIWA EXPLORER 3 ÇOK FONKSİYONLU CHARTPLOTTER Ürün AçıklamasıExplorer3 3 farklı ekran çözünürlü..
Samyung SGP-330 ChartplotterPPU (Plotter processing Unit) Grafik Çizici Ünitesi :Sgp 330 Kullanıcı t..